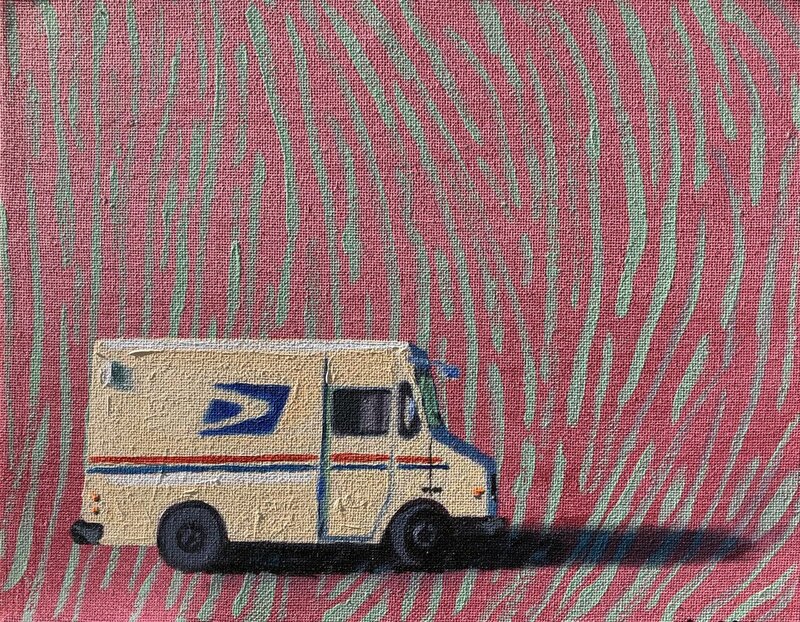 I’m an artist with a passion for blurring the line between the inanimate and the animate, bringing all to life with a conversation of color. 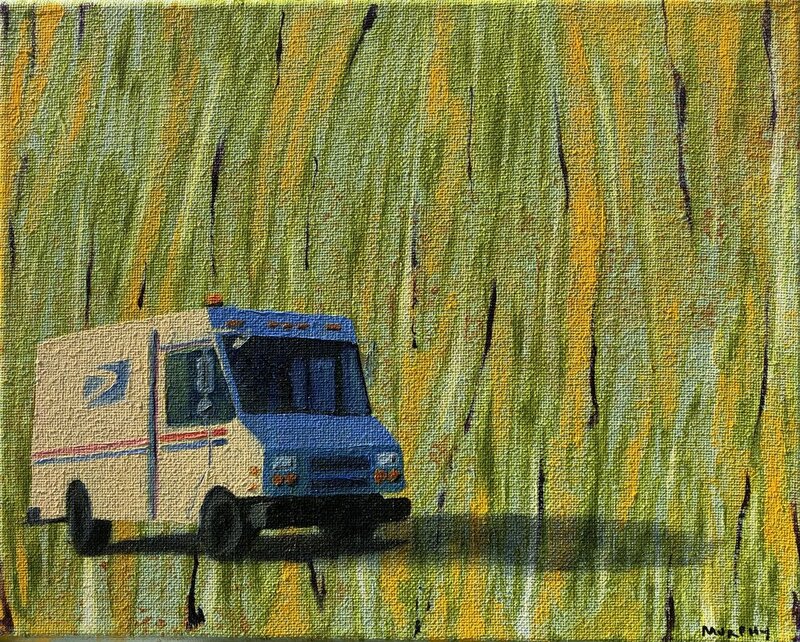 Mail trucks roam our landscape every day (except Sundays). They gather in the evening and sleep in a vast plains of asphalt fenced in by chain links. Dry heat or intense cold, their bodies withstand extreme temperatures and all kinds of weather, though they will not be around forever. Every species has an era, and it is important that we commemorate these beautiful animals before they are gone. I have put together a collection of paintings that does just that. I’ve always been inspired by live shows, especially the more intimate ones where you can get up close and really see what the musicians are doing. I’ve done a couple of pieces from performances I’ve seen around the MBTA, down in New Orleans, and elsewhere. One of my favorites is a piece I did based on concert at The Music Emporium of Lexington, MA; such a cool venue for a show. Depicted are Chris Eldridge, Simon Chrisman, and Wes Corbett going off on “Midnight on the water”.